Second marriages - not such a rarity in our time. Increasingly break up the pairs and form new. Married a second time, many brides ask questions that relate to the organization of the celebration. 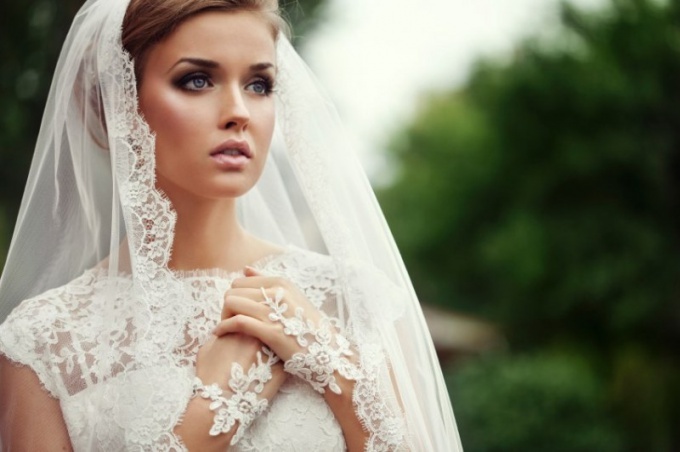 Most women care about the choice of wedding dress for re-marriage ceremony. 1. The scale of the ceremony — a big ceremony or a chamber for family and loved ones, to match the style of the occasion. 2. The venue of the celebration. If it's a restaurant, choose any dress that you like. If a Banquet will be organized at the camp outside the city, the splendor of the attire is absolutely not appropriate. 3. The wedding scenario. Pay attention to the theme of your party (if it is), competitions and entertainment. First and foremost, should be comfortable for the bride. 4. The groom's suit. The Bridal dresses should be in harmony, so you should choose the dress matching the image of her future husband. 5. Compliance with age. What is acceptable in 18 years, can look out of place in 37. It should take into account features of the figure. Ladies over 30, you can opt for birthday suit: pant or skirt for an evening or cocktail dress. Women tall good long classic dress and elegant hat. 6. Is with due attention to selection of accessories, shoes and hairstyles. The veil is better left as a memory of the first marriage and the second marriage as decoration for the hair is better to choose fresh flowers or flowers made of polymer clay. If you did not want to abandon breathtakingly beautiful shoes on a high platform and stiletto heel 10 cm, it would be nice to provide option with interchangeable shoes, which will be more comfortable during an evening feast. 7. In color there are no restrictions. Long broken stereotypes. If earlier the white color symbolized a girl's purity and chastity, today, often and for a first marriage ladies choose dresses far from white shades. Changing the way diametrically opposite from that which was at the first ceremony, it will be possible not only to diversify the family photo collection and video library, but also to see from which style is better than where more grace and harmony. So, if the first wedding did you like a cake with whipped cream, the second time to try the Prim elegance 20-30 years with silks, natural fur and the inevitable string of pearls on the neck. Making conclusions from the possible mistakes of the first marriage, the second marriage can be approached with specific knowledge and experience.